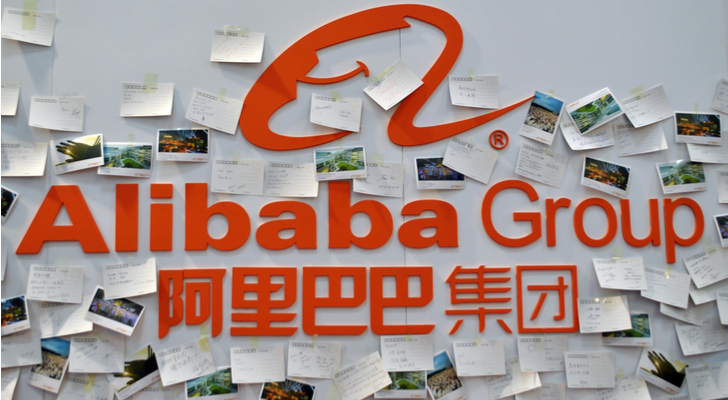 Shares of Alibaba (NYSE: BABA) started December on a positive note. The stock spiked to around $170 but reversed within one or two days. Even though it pulled back to around $152 recently, Alibaba stock is trending higher. This could signal the market’s willingness to invest in the online specialty retail giant despite the macro uncertainties. The big elephant in the room will not go away (U.S. and China trade negotiations) will run its course for a few more months. Investors who want to expose their portfolio to Chinese-based companies insulated from the trade war will pick Alibaba stock. Alibaba is largely unaffected by the trade war between the two giants, China and the U.S., but the market still punished Alibaba stock in the last few months for good reason. Even though much of Alibaba’s revenue growth is from the domestic market, customers may have lower disposable income as a result of a slowdown in global trade. The good news is that trade relations between the two countries are better today than before the G20 meeting in Buenos Aires. Prior to that event, the two were not even on speaking terms. After negotiating trading terms at the G20 meeting, China cut auto tariffs imposed on the U.S. and may resume the purchase of soybean next. As international trading activities increase, China’s economy will benefit and consumers will be more willing to spend. Investors need to go back to Nov. 2, when Alibaba hosted a conference call for its second-quarter results. The 54% total revenue growth sent the stock higher but the company also reported a few weak metrics. Annual active consumers increased by only 25 million, or just 4.2%, to 601 million for the year ended Sep. 30, 2018. Much of this growth came from less developed areas. Mobile users grew to 666 million monthly users, up 32 million, or 4.8%, sequentially. The user activity growth is decent, but when the stock traded at a P/E in the 50 times range, the Alibaba stock did not rally much after the earnings report. Fundamentals in all of Alibaba’s segments are getting better. Taobao’s user interface drove user activity and sales higher because of an enhancement in its recommendation feed on the mobile site. By matching merchants with the relevant consumer groups, transactions on Taobao improved. Tmall’s physical goods payment GMV increased 30% in the second quarter. Its appealing product categories, from home furnishing to apparel, resonated with customers. Cost of revenue doubled from last year to $6.81 billion (RMB 46.8 billion). This is due to Alibaba consolidating Ele.me and Cainiao Network. This is a one-time cost increase for logistics and fulfillment. The company counted the cost of inventory from its New Retail businesses. Also, the higher content investments in its digital media and entertainment businesses added to the higher costs. These costs hurt Q2 results but will pay off in the quarters ahead. The company has a good track record of maximizing the profitability from the physical goods. Strong viewership for Alibaba’s digital content will give investors more confidence in its foray in the media and entertainment businesses. Investors seeking China-based stocks could consider Baidu, Inc. (NASDAQ: BIDU). This search engine giant trades at a lower P/E (of 15 times). It faces no real competition but its growth potential is not as high as Alibaba’s. Plus, its revenue stream is less diverse. JD.com (NASDAQ: JD) is a retailer specializing in premium goods and by doing so, its business is sensitive changes to the consumer’s disposable income. Alibaba’s revenue from cloud grew 90% during the quarter, helped by the growth in the number of paying customers. They also opted for higher value-added products. Previously, the company invested in the business to add more features. That move is now paying off. Alibaba’s Cloud business also has strong IT developer support. In September, it held the largest computing conference in China when 70,000 developers attended the event. Analysts are bullish on Alibaba stock. The 24 analysts covering this company have an average price target of $205. If BABA stock trades to that level, investors will get a return of 35%. Price targets in the last month fall in the range of $180 – $245. Looking ahead, Alibaba’s upcoming quarter (Q3/2019) is seasonally the strongest. So, markets should continue pricing in the comparably better revenue in the next earnings report. If markets sell off intraday again in the next few trading sessions, pulling BABA stock lower, it should create a good entry point for investors. Article printed from InvestorPlace Media, https://investorplace.com/2018/12/alibaba-stock-dips-on-the-way-up/.